The What: Pexip announced it will provide Cloud Video Interop (CVI) for Microsoft Teams as a globally available service. The company already provides Microsoft-certified CVI as a dedicated application; with the new service, it will extend its capabilities to an easy-to-consume cloud service. The What Else: The Pexip CVI service for Microsoft Teams enables third-party videoconferencing systems to join Microsoft Teams meetings with high-quality audio, video, and content sharing capabilities, maintaining the Microsoft Teams workflow and experience. The service is based on the company's Microsoft-certified Infinity platform that already is in use at several Fortune 100 companies worldwide. Making these capabilities available as a cloud-native and globally available service simplifies deployment, scale, and migration to Microsoft Teams from Skype for Business and ensures utilization of customers’ existing videoconferencing equipment. As a service, Pexip CVI for Microsoft Teams is featured as a part of the Pexip service, utilizing its global data centers, dedicated video network, and Microsoft Azure data center technology. The service also enables full cloud-based call control and management of SIP and H.323 videoconferencing systems, allowing organizations to fully decommission their existing videoconferencing infrastructure. "We see huge growth in demand for video interoperability services and our capabilities for Microsoft Teams,” said Odd Sverre Østlie, Pexip CEO. “Enterprises want to simplify their collaboration environments, and as a result of the growth of Microsoft Teams, we see a similarly paced demand for enabling third-party video meeting solutions to join Teams meetings. With the new Pexip service, we extend these capabilities to a larger audience and meet the requirements of more organizations than ever before." As with Pexip's existing CVI for Microsoft Teams, protecting and retaining the native user experience is fundamental to the solution. It is transparent to the end user, meaning videoconferencing systems joining a Microsoft Teams meeting are seen and managed just like any other Microsoft Teams participant. Similarly, on the videoconferencing side, the meeting is a regular video meeting with audio, video, and content sharing. 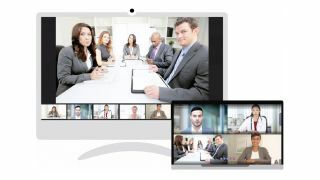 The Bottom Line: Cloud Video Interop is essential for enterprises that want to integrate their existing video conferencing solutions from vendors such as Cisco and Polycom with Microsoft Teams. The Pexip Cloud Video Interop service for Microsoft Teams will be available on March 28, 2019.